He is young, creative, confident, ambitious and is wasting no time in pursuing his passion- Fashion Designing. This week’s Young Professional is Akeem Stanley, an emerging self-taught fashion designer, who is no stranger to the spotlight, being a former Mr Fifth Form and having participated in the biggest fashion event in the Virgin Islands, Summer Sizzle BVI. Akeem said he has been designing from the early age of 10, drawing stick figures and pretty garments on them but not knowing at the time it was called fashion designing. Our talented Young Professional said what he enjoys most about designing is “sketching the looking” and actually bringing it to life, then seeing the muse transformed into someone different. Akeem has put no limit to his dreams and hopes to see his name called among the popular ones, such as Armani, Ralph Lauren, Calvin Klein and Louis Vuitton. And while those are some of his grand goals, he already has some glowing highlights of his young career. 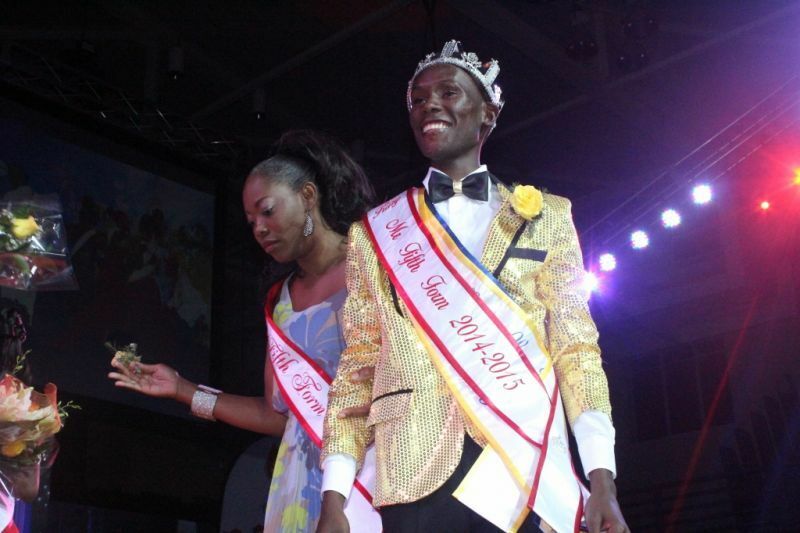 Participating in Summer Sizzle and creating a 10-piece collection have been some of his top accomplishments so far, as well as creating a look for the Host of Miss BVI 2016 Empress Jeanille Bonterre, a television host, producer and model. Akeem has vowed to be true to himself and his talent and aspires only for originality. This, however, can be a challenge with some clients looking for an existing look or fashion. Being ambitious as he is, Akeem not surprisingly wishes to see myself owning his fashion house and creating looks for high-end clients and more. Akeem shared that he has never had any other career goals other than fashion designing. Our Young Professional is a product of the ‘Mighty Mighty’ Althea Scatliffe Primary School and the Elmore Stoutt High School (ESHS). 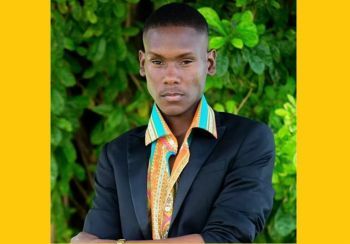 While pursuing his dreams in fashion designing, Akeem is also attending H. Lavity Stoutt Community College (HLSCC) where he is pursuing an Associate’s Degree in Business Administration. Our emerging fashion designer enjoys listening to music, traveling, and just being creative. Persons that have inspired Akeem include American fashion designers Zachary E. ‘Zac’ Posen and Christian Siriano, and German creative director, artist, and photographer based in Paris, Karl Otto Lagerfeld. Akeem is big on following up on passion and building on strengths, that is why he advises youth to be true to themselves and focus on whatever they discover is their talent. Don’t know you but I do know the drive and passion you have. My take from one entrepreneur to another. Put God first and stay humble and work hard. Keep setting positive examples for our community. I’m looking forward in wearing your products one day. The Sky ain’t the limit- It’s just the view. I am not Akeem, BUT I JUST LOVED YOUR POSITIVITY. GOD BLESS YOU. Always continue to do and be your very best. Great article. Continue to live out loud and invest in your craft. You can only go up from here! "'Akeem Stanley' not ‘Calvin klein’." You got to aim highetr than CK. Be up there with Balmain and Alexander McQueen. Apply to get on Fashion Runway.